Cleans and protects all standard diesel fuel systems used in passenger cars, trucks, in the maritime industry and agricultural machinery/plants. 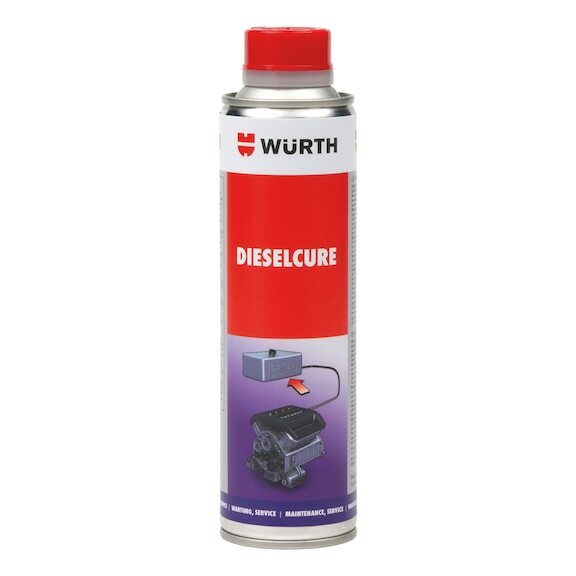 Diesel treated with Diesel Cure still meets the original technical specifications of the relevant applicable fuel standards, which the respective automotive and engine manufacturers stipulate for the warranty. Approved by MTU Friedrichshafen GmbH and Detroit Diesel Corporation. The usage instructions are recommendations based on the tests we have conducted and are based on our experience; carry out your own tests before each application. We do not assume any liability for a specific application result due to the large number of applications and storage and processing conditions. If our free customer service provides technical information or acts as an advisory service, no responsibility is assumed by this service except where the advice or information given falls within the scope of our specified, contractually agreed service or the advisor was acting deliberately. We guarantee consistent quality of our products. We reserve the right to make technical changes and carry out further development. Suitable for all diesel engines, including those with common rail and pump injection technology. Loosens and removes deposits in the diesel fuel system and prevents deposits from re-forming. For restoring and maintaining the quality of diesel fuels. Empty the contents of the can into the fuel tank.